When was the last time you successfully tied your shoes with frozen fingers? Hint: it’s a trick question. Nobody successfully ties their shoes with frozen fingers! To help combat the general unhappiness of ice cold, barely movable hands, Joe Rocket has set to creating some new gloves. The Joe Rocket Burner Gloves feature a stainless core heating system with 3 stage settings. Though it greatly depends on how you choose to utilize the gloves, these come with approximately 4 hours of usage out of 2 rechargeable lithium-ion batteries (1 charger included). The outer shell is constructed of heavy-duty nylon and it backed by a waterproof, breathable, windproof HiPora liner for insulation and comfort. From the full-flex wrist construction for maximum mobility to the touch-screen capable fingertips, these gloves are a great option for motorcyclists looking to lengthen their season into the cooler months. 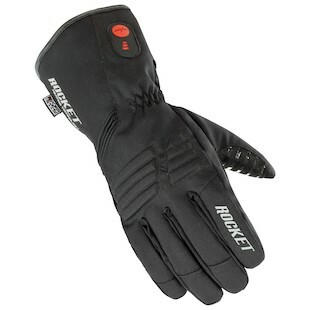 So keep your hands warm, your shoes tied, and your time on two-wheels happy with the Joe Rocket Burner Heated Gloves.